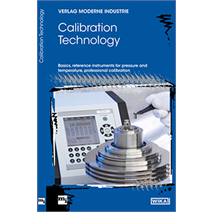 The theme of calibration technology is dealt with in a new volume in the "Die Bibliothek der Technik" (library of technology) series published by Verlag Moderne Industrie. The booklet has been produced in cooperation with WIKA. The author is Christian Elbert, head of the Calibration Technology product unit at WIKA Klingenberg, and also an executive board member of the German Calibration Service (DAkkS) and chairman of its technical committee for pressure. 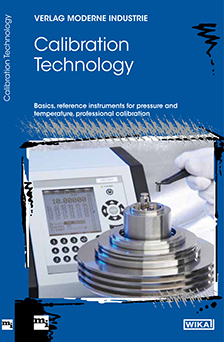 In 72 pages, the reader gets a comprehensive overview of all aspects of calibration. The compendium is written to be practical and accessible. Among other things, it describes calibration procedures, presents reference instruments for the measurement parameters pressure and temperature, and addresses characteristics and measurement uncertainty. Numerous photographs, diagrams and calculation tables illustrate the content. In the final chapter, Christian Elbert provides a perspective on the trends in calibration technology. The user-oriented handbook is volume No. 345 of "Die Bibliothek der Technik", published by 'Süddeutscher Verlag onpact Verlag Moderne Industrie'. It is available from specialist shops and directly from WIKA. Already published in the same series in collaboration with WIKA is the volume "Electronic Pressure Measurement" (No. 323). Key words: Verlag Moderne Industrie "Calibration Technology"